Andrew Bishop Personal Training Melbourne will work with you on a one-on-one basis to guide, help and motivate you to achieve your personal fitness goals. With many years of experience and many happy clients Andrew Bishop Personal Training Melbourne have developed a series of proven and well documented procedures which deliver positive and tangible results. Servicing the north eastern suburbs of Melbourne including; Saint Helena, Greensborough, Mill Park, Lower Plenty, Eltham, Eaglemont, Bundoora, Heidelberg, Diamond Creek, Templestowe, Rosanna, Montmorency, Bulleen, Plenty, Heidelberg West, South Morang, Watsonia, Macleod, Research, Bundoora, Reservoir, Preston, Coburg, Epping, Thomastown, Broadmeadows and Campbellfield, Andrew Bishop Personal Training Melbourne is available 7 days a week including public holidays. Fat Burning & Weight Loss Exercise, Nutrition Tips, Calorie Counting, GI Factor, Weight Loss Planning. Exercise Routines, Nutrition, Training Schedules. Aerobic Training & Exercise, Ideal Heart Rate, Homes Exercise Tips. Regardless of the level of fitness, body shape or weight loss you want to achieve there is a level of work and commitment you must apply. Let’s face it, IT’S NOT EASY otherwise everyone would have the ideal body weight, shape, heart rate and abs. Andrew Bishop Personal Training Melbourne will design a training program aimed at addressing your specific fitness goals based on your current level of fitness and health. The biggest mistake made by many fitness trainers is to assume that one size fits all. Andrew Bishop Personal Training Melbourne ensures that each individual applies the appropriate level of exertion based on their current fitness level and physical capability. One of the biggest pleasures for a Personal Trainer is observing the positive progress of their clients both physically and emotionally. 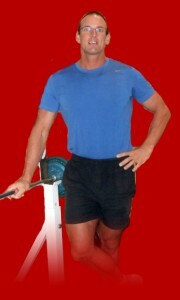 To discuss your Personal Training needs contact Andrew personally on (0409) 492 930. Weight Loss, Weight / Stress Management, Increase Energy Levels, Increase Fitness Levels, Manage Anxiety & Depression, Lower Blood Pressure, Manage / Prevent Diabetes, Nutritional Guidance & Support, Sports Conditioning & Nutrition, Fitness Consulting. Saint Helena, Greensborough, Mill Park, Lower Plenty, Eltham, Eaglemont, Bundoora, Heidelberg, Diamond Creek, Templestowe, Rosanna, Montmorency, Bulleen, Plenty, Heidelberg West, South Morang, Watsonia, Macleod, Research, Bundoora, Reservoir, Preston, Coburg, Epping, Thomastown, Broadmeadows, Campbellfield.